Updated : Feb. 13, 2018. Over the last eight years, in over 300 posts and articles, Play the Past has come to be a rather fantastic project. It’s a great body of work. I often find myself telling people that they need to read something from the blog on close readings of code, or about war gaming, or folklore and alchemy in Skyrim, or some of the great arguments we’ve gotten into about the procedural rhetoric of SimCity. I think we have something special going on here and I am excited at the prospect of inviting in some more contributors. Now is your chance to become a part of this blog! We have always been excited about inviting in new contributors. With that said, we are starting a new push to bring in some fresh ideas and new perspectives. The blog has lost a little steam and I think the best way to move forward is to get some new folks in here who care about games and the past to kick things off again. 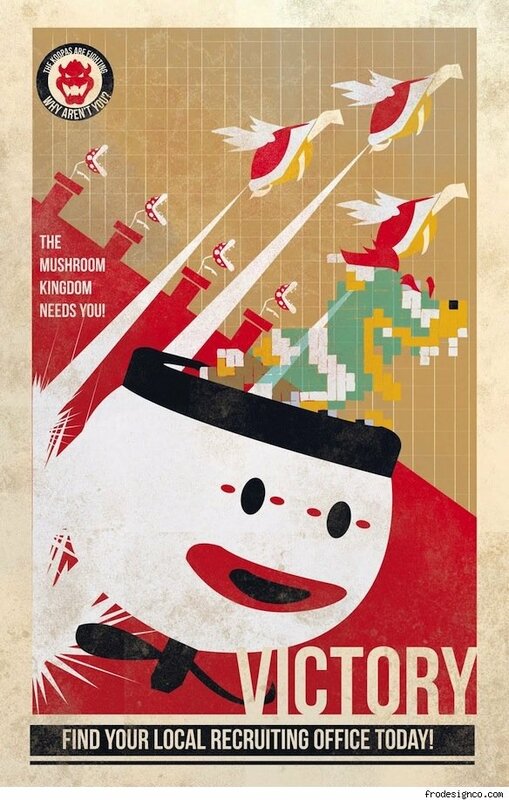 The Mushroom Kingdom Needs you, as does Play the Past. 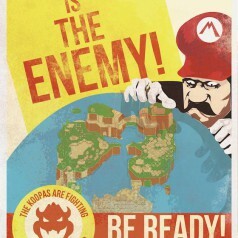 Image from Mario Propaganda Posters. Who Should Blog for Play the Past? Anybody who wants to write about some aspect of history and the past (broadly construed) in games (broadly defined). Currently we all have an academic bent and humanities backgrounds. Some of us are graduate students, some are professors, some are K-12 teachers, a few of us work at Libraries and Museums. With that said, I would love to have folks get into this from different areas of interest and approaches. For example, social or computer scientists, game developers or writers, folks deep into modding communities, etc. Why Blog for Play the Past? Here are the requirements for new authors who wish to submit a blog post or article, for Play the Past publication. The process is in two parts, article submission, and article finalization. Send a 50 to 100 word pitch for a post to us on our contact page. Wait for us to get back to you with any input. Write something within the mandate of Play the Past: games and cultural heritage. Provide your own analysis, and write from a personal perspective, i.e. don’t submit a research paper. Reference existing Play the Past authors in one’s post/article, whenever possible. The article should be between 500 to 3000 words in length. Once the above requirements are met, you can send us your article or post and await some feedback. Editors will either vet the article for publication, or get back to the author requesting minor tweaks or changes (re: the article’s style or content). Once the article has been approved for publication, editors will contact guest writers with finalization details. What’s Play the Past about again? Collaboratively edited and authored, Play the Past is dedicated to thoughtfully exploring and discussing the intersection of cultural heritage (very broadly defined) and games/meaningful play (equally broadly defined). Play the Past contributors come from a wide variety of backgrounds, domains, perspectives, and motivations (for being interested in both games and cultural heritage). More information on all of our current contributors can be found here. A full rundown of our community and commenting policy can be found here. Sound like something you are interested in? If so, point your browser here and drop us a line. Teaching history in France and working about the links between games studies and historical epistemology, i am a french reader of your website (sorry for my bad english). First of all, i would like to congratulate for your very inspiring works inside. Unfortunately for me, game studies are very poor in France, so i mainly read works from other parts of the world. A few days ago, I have opened a little blogsite about my research field. For example, the lastest post was about Niall Ferguson, counterfacts and strategy games. An other one (work in progress) was about Holocaust in video games. I also write reviews in french language. I have chosen to implement this blog inside a community of gamers because i’m quite interested by the ways of hybridation between scholar knowledge and popular culture, by the making and representation of history outside academics. Maybe you can check it out if you are interested and if you read some french and i wonder if you accept contributions in other languages. Thank you for your feed-back. I will submit some ideas to your wonderful team on your link, specially one about modding Crusader Kings II (Paradox Interactive, 2012).